With Pick 3G you will have the best connectivity quality. Their capacity for 2 antennas and their dedicated access to 3G network will allow connecting reliably and quickly. A high performance CPU that converts Pick 3G in a device prepared for everything you need. We cannot afford to lose a single data, and that’s why Pick 3G is able to work independently without connection to the mobile network. Thin, well-designed, lightweight and tough. Can you ask for more? Simplicity and ease are the words that better define the installation of Pick 3G. Just connect and start. Thin, well-designed, lightweight and tough. With Pick VPN/3G you will have the best worldwide connectivity quality. Their capacity for 2 antennas and their dedicated access to GPRS/3G network will allow connecting reliably and quickly. The new A8 CPU is fast and powerful. It has been designed to be so power efficient and can sustain a high performance. Connect with your devices anywhere with our worldwide capability to access to any network provider. You're not going to need an external power supply to run your 12 Vdc devices because Pick VPN/3G includes a power output for your sensors and devices. Pick VPN/3G is a device prepared for everything you need. We cannot afford to lose a single data, and that’s why Pick VPN/3G is able to work independently without connection to the mobile network. Simplicity and ease are the words that better define the installation of Pick VPN/3G. Just connect and start. 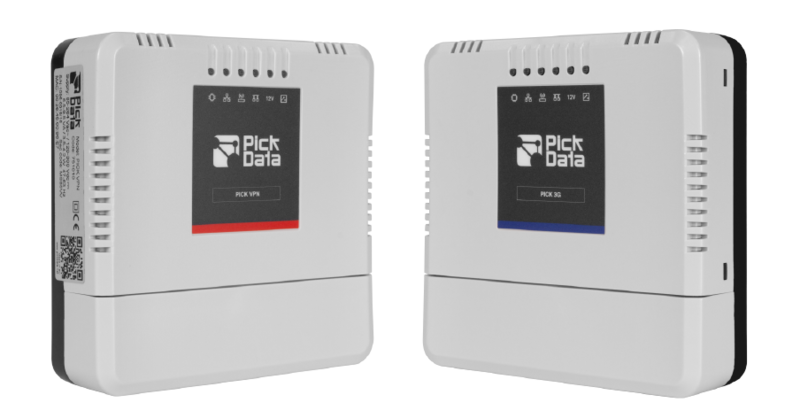 Pick VPN/3G is a gateway designed to communicate with machines and sensors, collect and store their data and send it to the website for their treatment. The gateway’s main feature is the communication using 3G, which can be swapped to GPRS when there’s no 3G network coverage. Pick VPN/3G has an internal and an external antenna with a switch to select which one is going to be used. 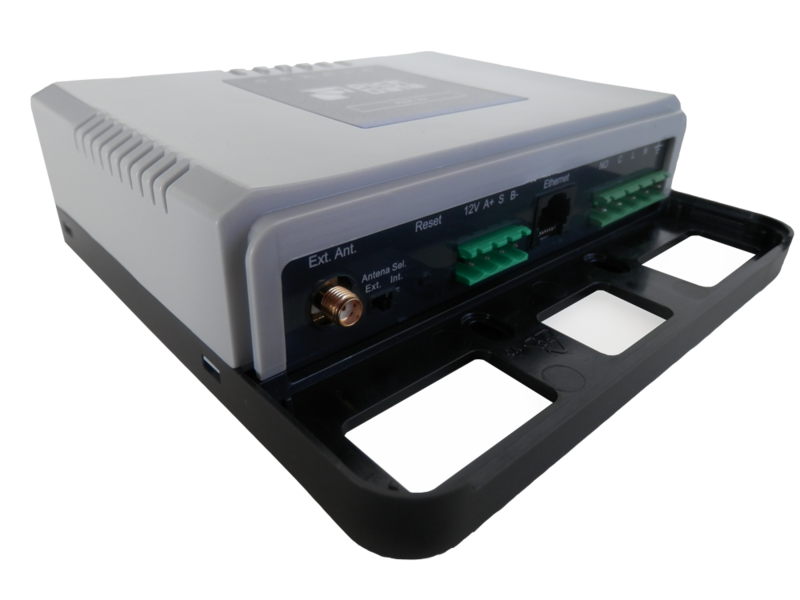 The modem adds an Ethernet port, RS-485, an auxiliary 12 V tension output and a relay output. Pick VPN: SIM card included with VPN communications. The gateway will always communicate through 3G/GPRS with EVO platform. Pick 3G: No SIM card included. 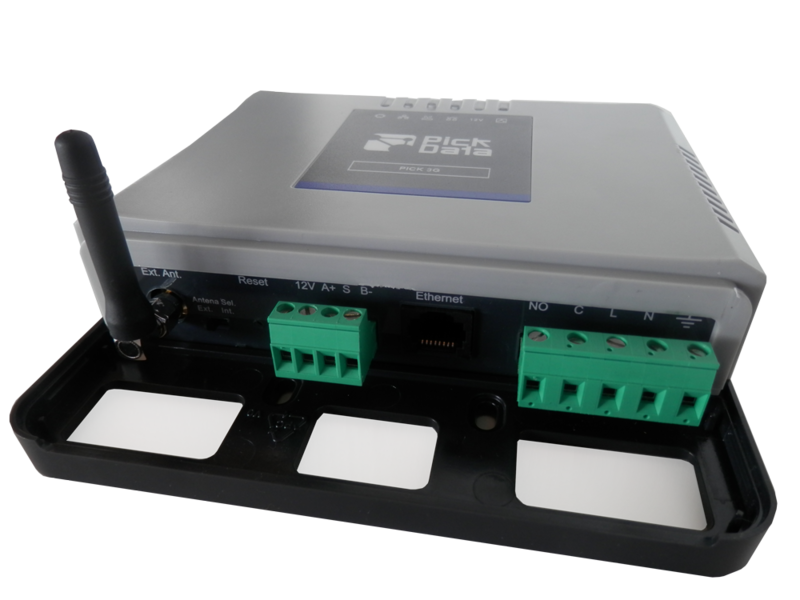 Possibility to communicate to EVO platform through 3G/GPRS or Ethernet.